The Ottawa Senators head into the NHL trade deadline with a massive cloud over their heads. While there has been speculation about Erik Karlsson’s future in Ottawa since the Sens’ captain talked openly about his contract status in December, there was no real indication the Senators were considering trading him. However, this changed with a report from TSN’s Bob McKenzie that stated the Senators were not only open to trading their franchise player but willing to move him by Monday’s deadline. While a trade is not a certainty, the fact the team is actively negotiating a trade has made an angry fanbase even more upset. 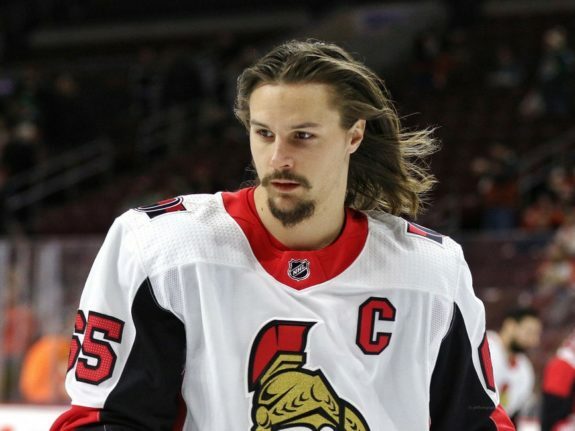 It’s no secret that a Karlsson trade would anger fans, but trading him at this point, before contract negotiations have even formally begun, sends a message that the Senators were never all that committed to keeping Karlsson around. Ottawa is in a strange position, as the franchise cannot feasibly survive the years of losing seasons that a full-scale rebuild would bring. However, the team has stated that it will be more committed to drafting and player development in the coming years. The Senators proclaimed this when GM Pierre Dorion’s contract was extended, signaling that owner and now-CEO Eugene Melnyk is on board with the direction Dorion wants to take. 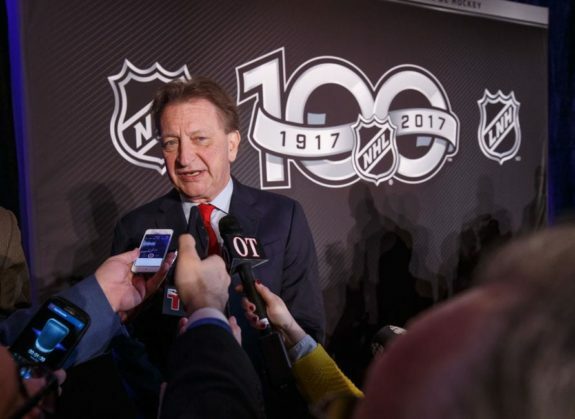 Based on everything Senators fans know about Melnyk, it’s likely that this plan will involve cutting costs, for better or worse. This was evident when Dorion traded Dion Phaneuf to the Los Angeles Kings for another player with a big contract. This trade made a marginal difference in terms of the salary cap but will end up saving the Senators a few million in real dollars. It’s this kind of mindset that makes trading Karlsson seem rational, and since Dorion is reportedly also trying to offload Bobby Ryan’s massive contract in a potential Karlsson trade, it looks like the team is just trying to save as much cash as possible. There is, however, another way to look at this scenario. It’s possible that Dorion thinks the lure of adding a generational talent like Karlsson is so big that other teams would be fine with not only giving the Senators a package of draft picks and prospects but also taking on an albatross contract like Ryan’s. This could be true, but it’s hard to believe that including Ryan in this trade wouldn’t end up weakening Ottawa’s return. Figuring out the logistics of this trade in such a short time period will be incredibly difficult, especially since Dorion has other players he wants to move by Monday. While these trade rumors have created a media frenzy around the team, rushing into a trade that would essentially define the team’s next decade is an obvious mistake. On the surface, it looks like Ottawa should have some leverage in this situation, as Karlsson still has a year remaining on his contract after this season. However, the Senators’ recent moves have made it look like saving money is the number-one priority. While trading players like Phaneuf and Derick Brassard look like the first steps in a rebuild or retool, a team that doesn’t plan on being competitive for a few seasons would not be so worried about shedding Bobby Ryan’s contract. This decision to get younger and gear up for the future comes only a few months after the Senators added Matt Duchene to solidify their status as playoff contenders. While the team’s astounding lack of success since then has led to the Sens’ brass rethinking their philosophy, this is still quite a dramatic change in tactics. The most plausible explanation for this complete 180 is Melnyk’s desire to cut costs. However, trading Karlsson would cost the Senators in the long run. Many fans have been upset with the direction this franchise has been heading in for a while, but are just now starting to get really vocal about it. From raising money for an anti-Melnyk billboard to bringing #MelnykOut signs to games, Sens Army is fed up. The Senators have lost fan-favourite players before, but letting the most skilled player in team history leave this way could be a breaking point. If the Senators go into next season without Karlsson, several other key players, and a solid plan for the future, the team is going to have a hard time selling tickets. Unfortunately for Melnyk, this will only make the team’s ugly financial situation even worse.